Savona Equipment Ltd. is your source for New and Used Backfill Plants. Backfill Plants are used to return tailings from gold processing plants to refill underground mined volumes for environmentally safe disposal. 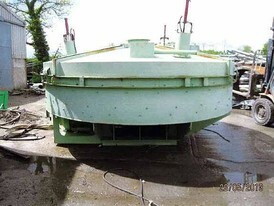 Designed to operate with thickened slurry product from dewatering plants to form a paste suitable for mine backfill. We can find the plant that best fits your needs. Savona Equipment sells and ships Backfill Plants worldwide.